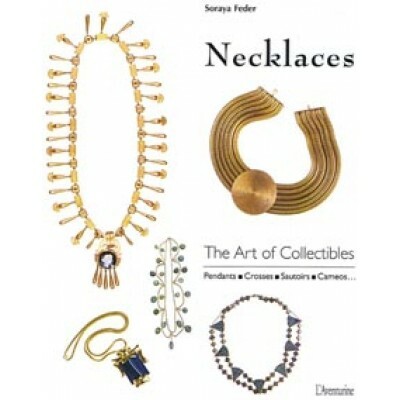 Necklaces The Art of Collectibles by Soraya Feder Softback. Necklaces are the indispensable accessory. A must for star glamour the finishing touch to fashion designers collections they also provide that special extra something for casual everyday wear. Rhinestones plastics Plexiglas copper brass coloured glass and crystal have all inspired the top costume jewellery designers Roger JeanPierre Elsa Schiaparelli Miriam Haskell and Joseff of Hollywood. This is a beautiful book full of wonderful jewellery and it should provide a great deal of inspiration for jewellery making beady book worms.